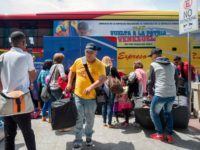 White House officials are not considering an offer of Temporary Protected Status asylum to the many Venezuelans who are fleeing from their socialist dictator, a White House official told Breitbart News. 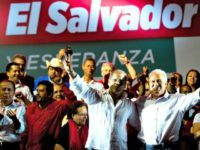 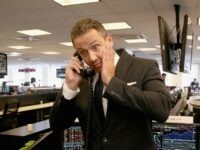 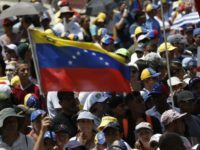 Exclusive–Philip Cafaro: Asylum for Venezuelans Will Encourage More Migration to U.S. 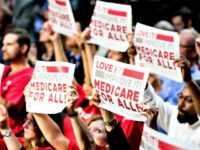 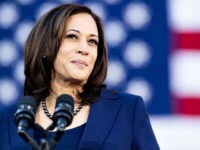 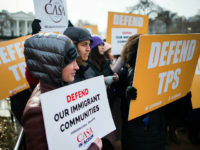 Granting Temporary Protected Status (TPS) to Venezuelan nationals, as Democrats and Sen. Marco Rubio (R-FL) support, will encourage more mass migration to the United States, Colorado State University professor Philip Cafaro says. 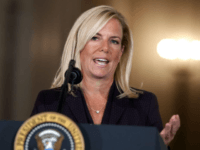 Department of Homeland Security (DHS) Secretary Kirstjen Nielsen extended a temporary amnesty status for nationals from South Sudan weeks after announcing a similar move for Sudanese, Haitians, Nicaraguans, and El Salvadorans living in the United States. 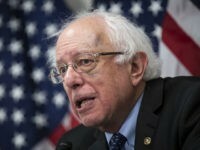 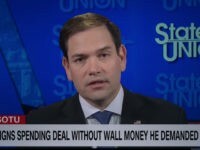 Sen. Marco Rubio and 23 Democratic Senators are asking President Donald Trump to grant asylum to Venezuelans, even though the grant would minimize the Venezuelans’ incentives to overthrow their country’s Cuban-backed dictatorship. 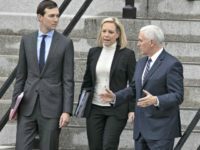 President Donald Trump’s Department of Homeland Security (DHS) Secretary Kirstjen Nielsen is extending a temporary amnesty status for more than 300,000 foreign nationals, a notice from the agency states. 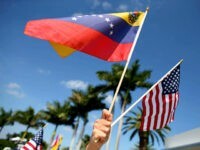 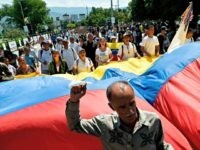 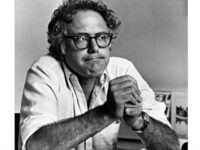 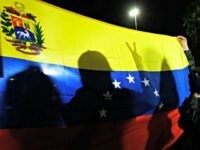 Officials at the Department of State are trying to decide whether to help Venezuela’s socialist regime by allowing opponents to get sanctuary in Florida’s real estate and job markets. 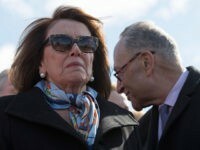 Democrats are livid about House Speaker Nancy Pelosi’s continued refusal, on their behalf, to engage in any negotiations with President Donald Trump over his planned wall along the U.S. border with Mexico. 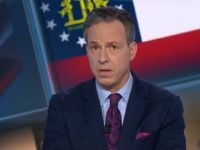 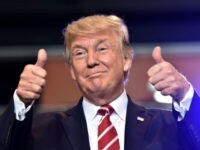 President Donald Trump quietly rejected a proposed amnesty that would have crippled immigration enforcement and triggered a migrant wave during his 2020 election, according to a report in the New York Times. 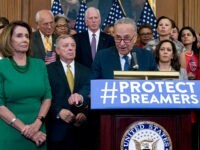 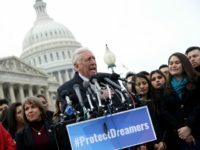 NumbersUSA’s Rosemary Jenks says Republicans and Vice President Mike Pence are “redefining amnesty” in the age of President Trump to pass legislation that would codify President Obama’s Deferred Action for Childhood Arrivals (DACA) program into law. 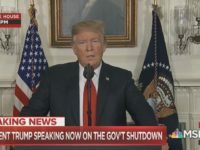 Vice President Mike Pence and administration officials expressed great hope in “rank and file” Democrats late Saturday to pass the immigration, border security, and government reopening package President Donald Trump unveiled moments before. 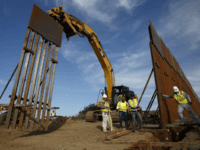 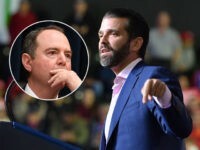 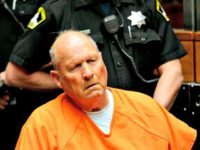 President’s Donald Trump’s son-in-law and his top congressional aide met with six GOP Senators who are offering a series of cheap-labor and amnesty measures in exchange for border-wall funding, according to reporters in Congress. 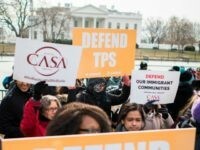 A federal judge in California sided Wednesday with the American Civil Liberties Union (ACLU) to block the Trump administration’s decision to end “Temporary” Protected Status (TPS) for certain otherwise illegal aliens. 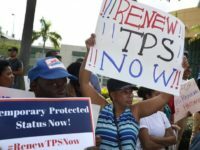 Approximately 500 aliens from the war-torn African country of Somalia began re-registering Monday for another 18 months of protection from deportation under the Temporary Protected Status (TPS) program. 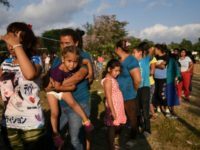 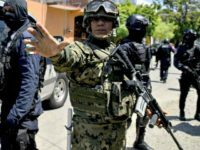 President Trump is ending temporary amnesty for about 50,000 Honduran nationals who have been allowed to stay in the United States since 1999. 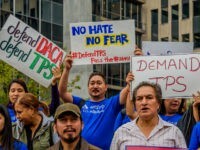 The Department of Homeland Security has announced that it will end “Temporary Protected Status” for roughly 9,000 Nepalis in June 2019. 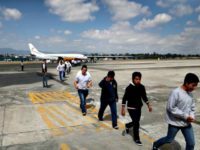 Roughly 9,000 people from Nepal will be asked to go home after being allowed to stay in the United States since April 2015, according to the Washington Post. 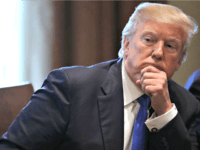 President Donald Trump is quietly sending a few thousand Liberians homeward after 20-plus years of temporary residency in the United States. 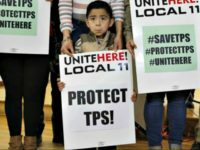 The American Civil Liberties Union (ACLU) and two left-wing, pro-illegal alien labor unions filed suit Monday, claiming it is unconstitutional for the Department of Homeland Security’s (DHS) Temporary Protective Status (TPS) to be given any end date. 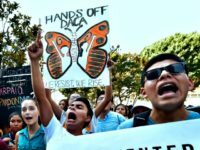 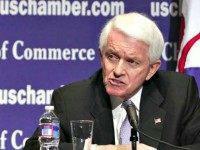 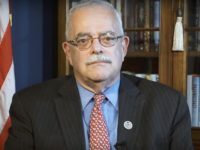 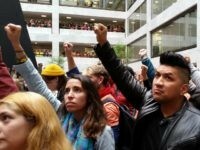 Companies are facing pressure to raise wages, and the U.S. Chamber of Commerce is threatening to punish legislators who deny amnesty for roughly 3.5 million ‘dreamer’ illegals and ‘Temporary Protected Status’ migrants. 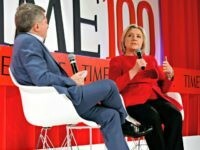 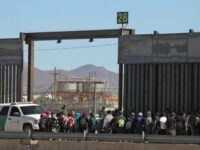 An expansive amnesty plan for millions of illegal aliens, being led by Sen. Jeff Flake (R-AZ) and his Democrat and Republican establishment allies, known as the “Gang of Six,” would give a pathway to U.S. citizenship to 25,000 foreign nationals who were previously granted Temporary Protected Status (TPS).